In a breakthrough move in the life insurance sector, Janashakthi Insurance has extended life cover to those diagnosed with HIV. This is a unique new policy that will change the lives of many people and give them peace of mind. Over 3,300 people were living with HIV by the end of 2014, according to estimated data from the National STD/AIDS Control program. “In the life insurance industry there is a common practice called ‘HIV exclusion’. This means that all claims arising directly or indirectly from a policy holder’s HIV will not be covered. Janashakthi is the only insurer who does not have this exclusion in their life policies for Basic Life cover from its day one of operation. As another first, with this initiative Janashakthi will become the only insurance company which will offer Life Assurance to people living with HIV,” said Janashakthi Insurance Founder Chandra Schaffter who is widely credited as being the “Father of Insurance”. Janashakthi made this announcement to coincide with World Aids Day which is an opportunity for people worldwide to fight against HIV, show their support for people living with HIV and commemorate those who have died. “This policy will encourage people to seek early treatment and make sure they continue treatment. The policy is linked to the patient’s CD4 count – a blood test that indicates how well the immune system is working. This will help people living with HIV to live a longer, near normal life and it will also reduce the spread of HIV from and infected person to another,” said Dr. Indira Hettiarachchi, former National HIV/AIDS Program Coordinator for the International Labour Organization, which initiated advocacy with the insurance sector of Sri Lanka to improve social security for people living with HIV. 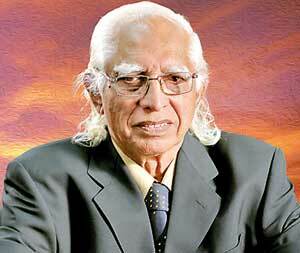 Janashakthi has historically been an innovator, acting as a pioneer in the insurance sector. These include Life Unlimited, a unique policy allowing for lifetime hospitalisation cover with just a 20 year premium, Jeevitha Thilina, a gift insurance policy which allows grandparents to gift their grandchildren with insurance policies and LifeSaver, a flexible plan which provides a secure pension for a policyholder and their spouse for their entire lifetime upon retirement. Apart from providing cover to those suffering with HIV, Janashakthi was also the first to provide coverage for soldiers during the war.